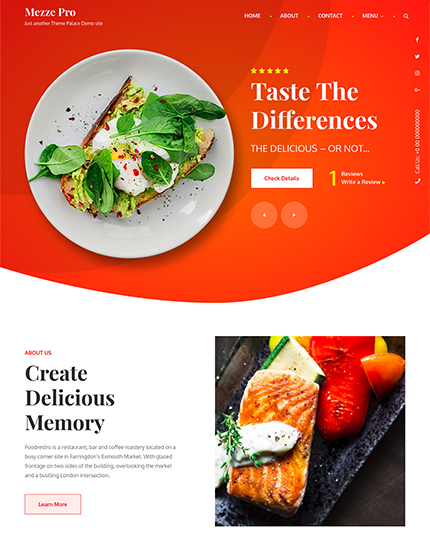 Mezze is highly customizable and perfect for restaurateurs who want to show their cuisine off on a website that looks as ravishing as the food they serve. Most importantly, Mezze is the perfect website which has the features you’ll need to create and run a successful restaurant website. There’s an easy-to-use and simple to edit menu manager that will display all your items in a format where customers can browse your dishes very smoothly at their leisure time. 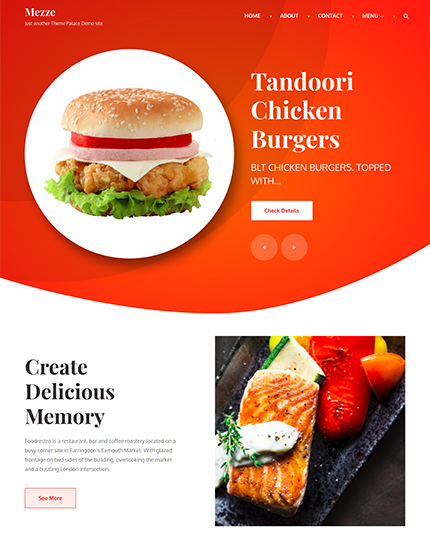 Having a decent website has became crucial in promoting your restaurant in this era of internet since a lot of people check out the restaurants business before visiting the actual place.